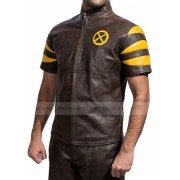 Wolverine Jacket is an attempt by Hugh Jackman as Wolverine in the Hollywood movie X-Men. 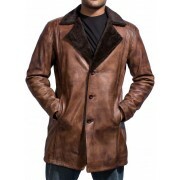 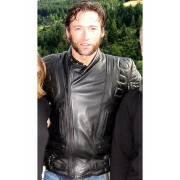 If you would like to be different in your circle, then Wolverine Leather Jacket is the best choice you have ever make. 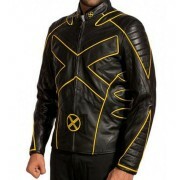 X Men Wolverine Jacket is designed for the fashion lovers, especially for those who want to get themselves noticed. 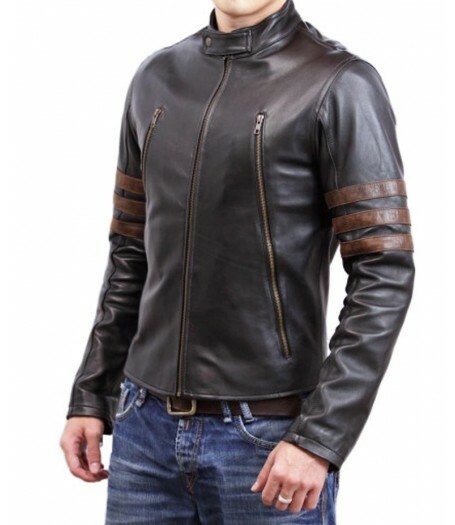 Wolverine jacket is made from genuine leather/ synthetic leather material. 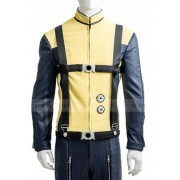 It consists of the flat collar with snap tab button style and front YKK collar. 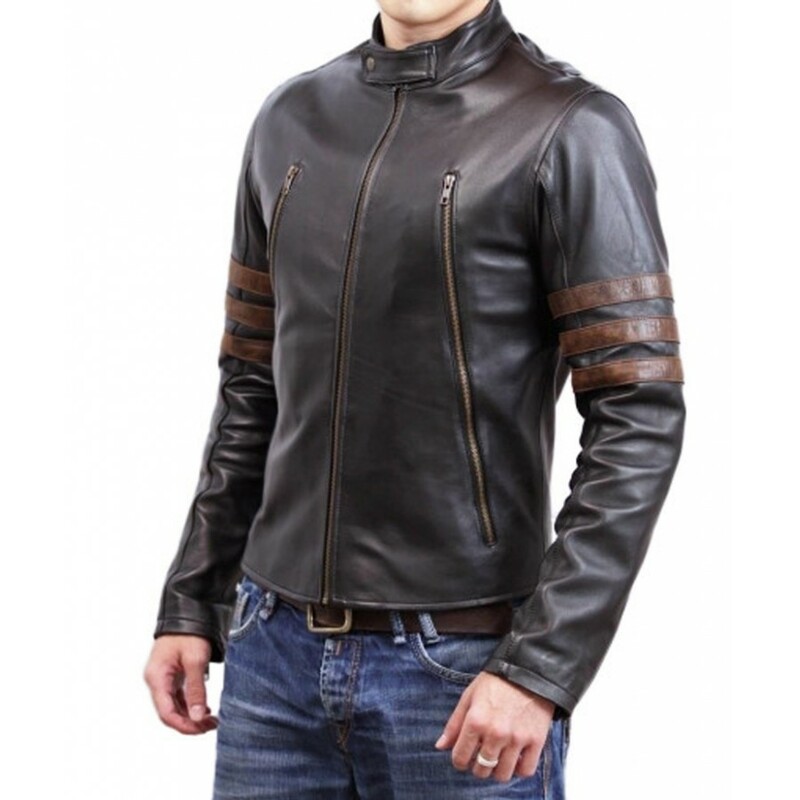 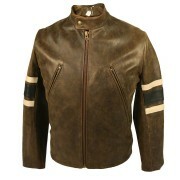 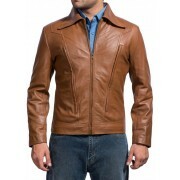 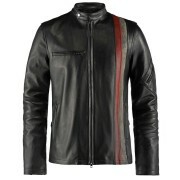 Wolverine Leather Jacket has long sleeves and opens hem cuffs with additional zipper cut style. 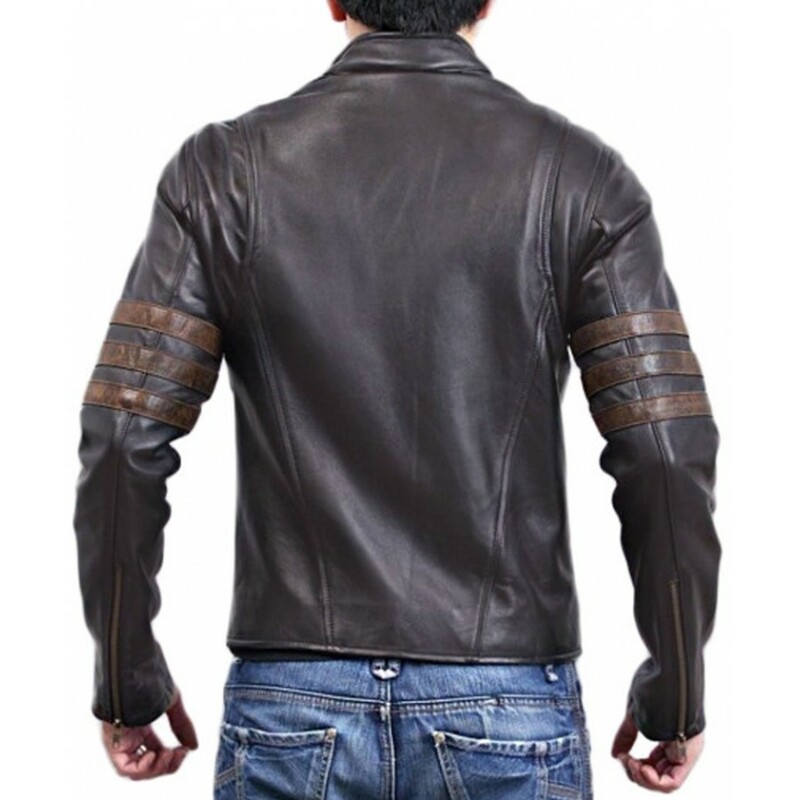 Full sleeves have brown stripes design, which make it smart from other costumes. 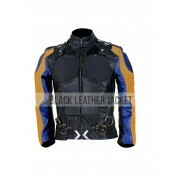 There is two slanted zipper style can be seen on X Men Wolverine Jacket, front side as to enhance the charm of it. 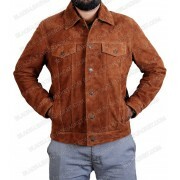 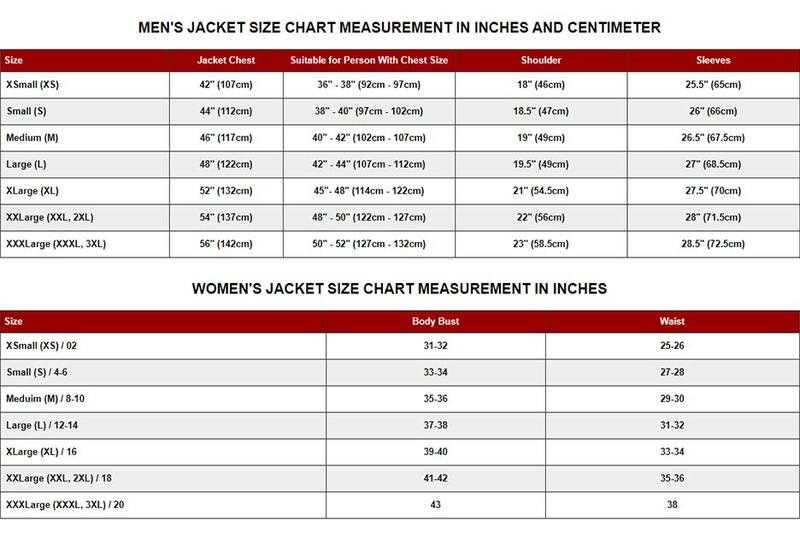 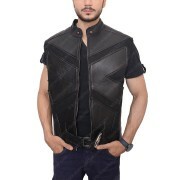 You can get your Wolverine jacket costume now from our exclusive wear site on www.blackleatherjacket.com with sensible prices.